At Lemon Fresh UK we have a great range of Nenuco and Air Wick products available for you to buy directly online with optional next day delivery! Nenuco products are natural products originating from Spain and are perfect for babies and adults with sensitive skin or skin conditions such as eczema or dry and blotchy skin. Not only are Nenuco products perfect for skin care but leave your skin feeling soft as well as having that signature fresh Lemon smell that can only be produced by Nenuco products. We are a family run business based in Stanford Le Hope in Essex we are proud to stock the full Nenuco range. If you have any questions just feel free to give us a call on 01375 408979. A decorative Air Freshener that perfumes your home with the Nenuco fragrance continuously, for up t.. This is the Air Wick Nenuco FreshMatic Dispenser - comes with 1 can of Nenuco Dispenser refill in th..
Air Wick Freshmatic Refill Purple Lavender Meadow. Insert this refill into your Air Wick Fresh.. Fill your home with the fresh and soft scent of Nenuco Cologne! Lasts up to 80 days on minimum sett.. This is the Air Wick Nenuco 'Pure' spray. Infused with the unique and attractive Nenuco smell,.. The olfactory notes of bergamot and mandarin with the scent of roses and lilies of the valley, Gota..
A fresh cologne, with glycerine and white tea, ideal for the whole family. Enjoy this product of Hen.. It was 1905 when Heno de Pravia started to produce in a little village called Pravia, in the north o.. The best for your personal hygiene. 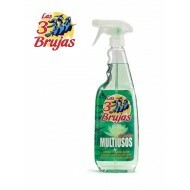 The spray deodorant Heno de Pravia provides maximum freshness to.. This shower gel will captivate you, its soft fragrance will remind you of Spain. It's got the ..
Three units of Original Heno de Pravia soap - each 120g - individually wrapped - for your personal h.. The No.1 best-selling shaving foam in Spain, with mineral salts and pro-vitamin B5. A classic shavin.. The Magno Classic shower gel has a strong personality in its fragrance, leaves the skin smooth. A cr.. This body bath gel Rouge Intense is a new product of Magno, with an intense and sensual aroma. Its c..
Sairo Intense Shower Gel Parabens-free 750mlSuitable for cleansing and daily body hygiene. It cleans..
Sairo Keratin Shampoo anti-dandruff 400mlSuitable for normal care.It acts on the hair fibre to make ..
Sairo Keratin Shampoo for damaged and dry hair 400mlSuitable for cleansing and daily hair care.It ac..
Sairo Keratin Shampoo for oily or greasy hair 400mlSuitable for cleansing and daily hair care.It act.. Fabric Softener with new and delicious floral scents that reduces static and gives the feeling of so..
Flor Azul fabric conditioner is one of the top selling fabric conditioners in Spain.Discover the fre..
Flor fabric conditioner is one of the top selling fabric conditioners in Spain.Discover the superior.. Discover the superior freshness of Flor Rubi & Jazmin Petals. Let yourself be seduced by the sen.. Liquid Detergent Viaplus for Colour ClothingThe liquid detergent Vialplus Ropa Colour is formu.. DETERGENT LIQUID VIALPLUS CLOTHES WHITE AND COLOURLiquid Detergent VialplusVialplus liquid detergent..